We took a closer look at the domains using these nameservers and found a distinct correlation between the C&C servers being used in this and other, possibly unrelated campaigns. In the past month, we've tracked over 70 domains involved in malware C&C or other malicious activity involving Click Fraud & Ransomware campaigns. 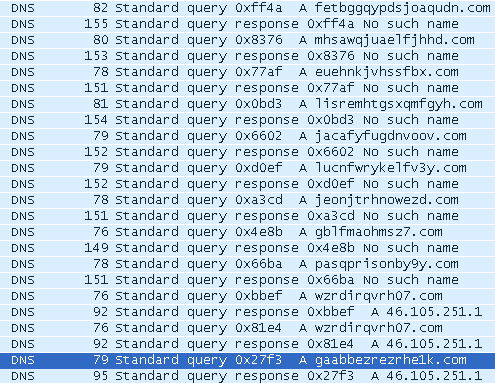 These domains were registered via "Domain Context" and use "Regway.com" nameservers for resolution. However, some of the domains are being used in other seemingly unrelated malicious campaigns. For example the domain 'xmoqu38hasdf0opw.com' was identifed by Kafeine as hosting a Reveton ransom page. Attackers continue to move away from single IPs and small IP pools, preferring to distribute the infrastructure across multiple netblocks. This ensures their infrastructure is more resilient to blocks and takedown attempts allowing the attackers to continue to profit from compromised devices. Likewise, if a registrar or nameserver with poor reputation is found, specific actors will continue to leverage them until mitigations are put in place.